With the advent of technology, there’s more options than ever to learn and practice languages. Although having more options can be great, choosing the wrong one results in wasted money and time that you could easily save. 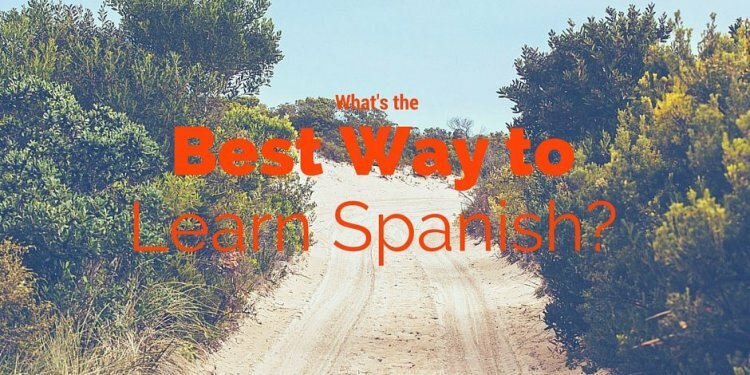 Let’s explore some of the most effective options available to study spanish and you can decide which one is right for you. Private tutoring is great if you’re looking for a more interactive experience, especially if you’re used to in-person learning. It can also be easier to pay attention to the smaller details such as hand gestures and pronounciations. The big hesitation for most people when it comes to in-person tutoring is the cost. Because of the time and attention it requires for private tutors to meet and engage in-person, they normally charge anywhere from to on average. Scheduling the time nad place can also cause some issues because of the need to meet in-person. Private in-person tutoring is ideal for when you’re first starting out as a beginner, and you have a busy lifestyle. Having someone who is available to work around your schedule and meet you in-person will keep you accountable and motivated when you’re initially starting out. The main benefit of language schools is that it allows you to meet and learn with a group of fellow language learners. This is a great option if you’ve just arrived to a new country and you’re looking for a social experience with other travelers. Because of the intensity of many language schools (i.e. daily classes), it’s also great if you want to learn as much as you can in a short span of time. Learning in a group means you’ll receive less attention, and the progress of the class will heavily depend on the skill level of others in the class. Given the business structure of most language schools, you’ll often have to pay just as much, if not more than private tutors. Going with language schools is recommended if you’re seeking intense learning in a short span of time. This is particularly common when you’re traveling in a new country or planning to travel to one in the near future. For anyone who does not have the budget to invest in language learning, this is a viable option because it’s free. It does involve patience and time, but it’s possible to make it work if you’re not interested in paying for a solution. Given that it is called a conversation “exchange, ” you do need to give back your time to help your partner. A common structure is to spend the first half the time on one language and the last half on the other. This is not an ideal solution if you don’t have the luxury of time, as it also takes additional time to filter out and connect with the right conversation partner(s). Conversation exchanges are mainly used for people looking to maintain their skills and have the patience to give back their time as well. It’s popular amongst hobbyist language learners, who are looking more to chat with people from other countries. Finding an online tutor is as easy as searching online by typing in the keywords you’re looking for. For example if you’re looking to learn Spanish, you can type “Spanish tutor online” and you’ll receive a listing of private tutors offering their services. Because online tutoring is not location dependent, you don’t need to type in a specific location.